At Ibiza Rocks Hotel, Mon 1 Jul, Tue 2 Jul. The first and only UK urban music festival on Ibiza returns bigger than ever. 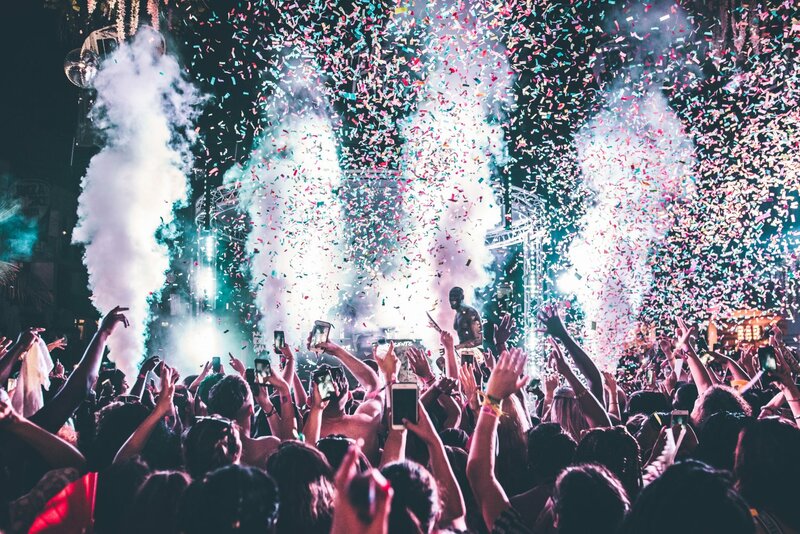 Ibiza's first and only UK urban festival, Stormzy presents #MERKY Festival has quickly established itself as one of the island's most highly anticipated annual dates. The party takes over Ibiza Rocks Hotel bringing with it loads of untamed grime fierceness for an all-day party that continues until dark. With daytime poolside sets and multiple stages, as well as secret room parties, this two-day festival makes history as putting grime and rap on the Ibiza map. When he's not performing in front of tens of thousands at Glastonbury, the UK grime giant Stormzy brings it just as fiercely to the comparatively intimate poolside setting of the "home of the pool party." Always quite the event, the unique pool party takes over the San Antonio hotel with plenty of talent and some of the hottest acts out there. Besides Stormzy himself, past line-ups have included the fiercest and freshest urban talent currently on the scene across the two days. Past editions have seen East London hitmaker J Hus, South London rapper Ms Banks, Grime king Jaykae, underground star Suspect, dubstep master P Money, Jungle duo Star One, MC and Kiss FM DJ Majestic, hip-hop queen DJ Tiffany Calver and selectors YBE. South London hip-hop heavyweights Krept x Konan, multi-talented East London rapper Not3s, chart sensation Mabel, infectious Nottingham rap duo Young T & Bugsey, London rapper and Barking hitmaker Ramz and the up-and-coming DJ Rachael Anson have also been on the roster. After a golden few years, the #MERKY Festival is back with two massive dates in 2019 on Monday 1 July and Tuesday 2 July. Be ready to go all the way here. Check out the video then see below for all confirmed info updated daily and tickets.